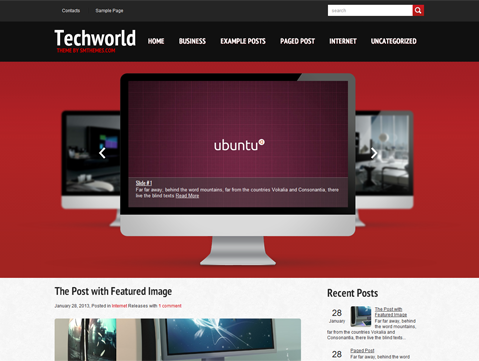 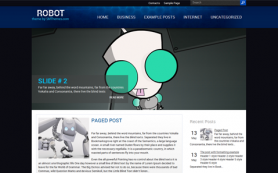 The fast-paced world of technology now has an equally cutting-edge premium WordPress theme in the form of TechWorld. 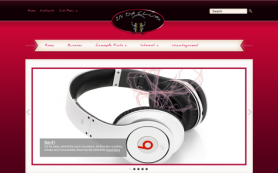 True to its name, the theme capsules the world of technology in its design. 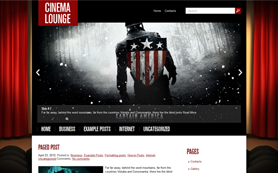 With black, white and red to enhance its visual flair, the theme will capture the imagination of all gadget lovers. 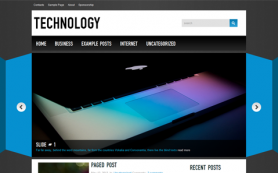 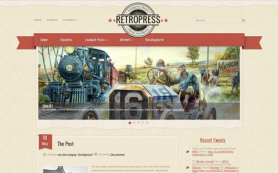 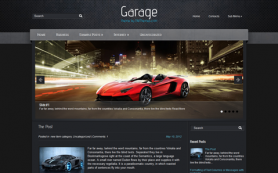 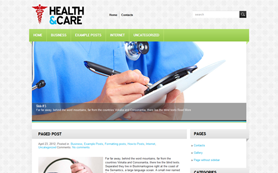 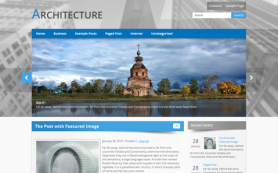 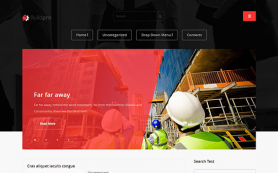 The free WordPress theme boasts of a truly spectacular slider that uplifts the theme. 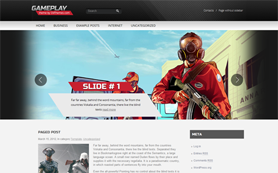 Feel free to enhance the template with the easy customization options on offer. 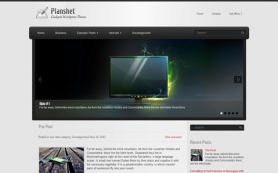 Download and install the theme today.